Now that we’re about half-way through, I thought we would rewind the past five months and also take a look at some plans for the future. It’s a pretty good time to do this, incidentally, since it’s holiday season in just about every part of the world. Last week, Hindus celebrated one of their most cherished festivals Holi. 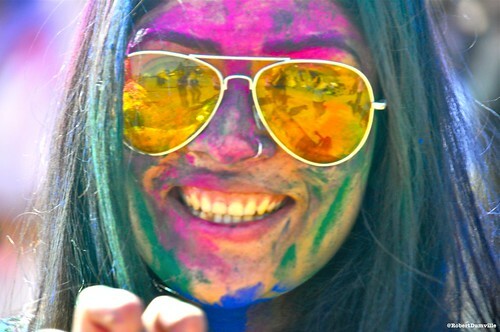 Like many Hindu religious festivals, “playing Holi” is less of a formal display of faith and more of a street party commemorated through a bombastic display of powdered colors, water, the use of mind-altering substances (which happen to be legal on religious holidays such as this), and dancing. Though not directly related to the LGBTQ movement, the use of paints and colored powders in street-side festivities provides an apt visual for what the festival symbolizes, namely the breaking-down of social norms and acceptability, the celebration of life in various dimensions, and the arrival of spring. I avoided most of the chaos on the streets for fear of my camera getting irreparably damaged. With ‘Music in Liminal Spaces,’ my intention is to cover a diverse array of music and dance from individuals on both ends of the LGBTQ spectrum to see how, where, and in what forms queer voices manifest in Mumbai. Being one of the largest cities in the world, Mumbai has no shortage of talent. Because of this, I have managed to cover traditional and modern representations of gendered performance, from an Indian classical music mela (‘meeting’, or ‘concert’) held in the garden of a former Maharaja, to a rock concert inside a local club. For the past five months, I was able to produce a number of videos and deliver a successful presentation of these experiences at the Central and South Asia Fulbright Conference in February 2013. Ultimately, these events helped set the stage for the work I intend to pursue until the end of my stay in Mumbai. Just about one month before Holi, Mumbai celebrated LGBTQ pride. I covered many of the events held during the two month-long period , including the parade itself, held on February 2nd. Ultimately, these events helped set the stage for the work I intend to pursue until the end of my stay in Mumbai. My work for the next five months will largely take place within the Hijra community in a deeper exploration of how centuries-old performance traditions and modern-day practices are negotiated within these communities. My contacts like Laxmi Narayan Tripathi (whom you saw in the Dancing Queens video), among others, will show first-hand how lives are lived and celebrated. Thanks to Fulbright-mtvU, ‘Music in Liminal Spaces’ has made incredible progress having played a huge part in the lives of some of Mumbai’s LGBTQ musicians and dancers here. I am extremely grateful for the experiences I have had making this film and look forward to what will come in the next five months! I love this! Music has no boundaries. Amazing work, my friend. I love how you write. I feel like I am there celebrating alongside my LGBTQ family in India. After reading all this precious events covered by most talented Jeff Roy,I feel extremely proud of his honest efforts for the wonderful cause!I have observed Jeff as an extremely passionate and genuine person to put in his talent and efforts to portray it in a heart touching outcomes to help make a difference in the society!his involvement in the prestigious project was brilliant!organization and project like Fulbright Mtvu is taking a note of his beautiful endeavours!I strongly hope every step ,everydrop of his efforts gives him success and helps for the cause!standing ovations to the young man!!! Aww you are sweet, but I’m certainly not deserving of your praises. The credit goes entirely to the talented artists in the community here in Mumbai! Jeff! 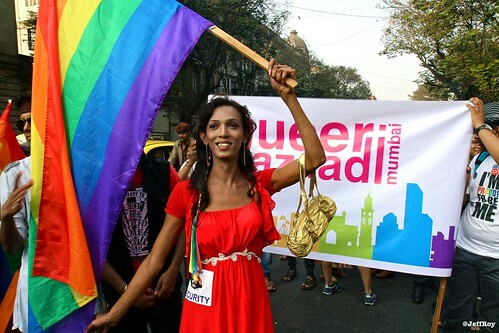 Truly outstanding to see you bring western attention to the transformation of the LGBTQ community in Mumbai! These voices and talents need to be empowered and advocated for… your work is important and eye-opening. jeff! this really does sound like exciting work you’ve been up to! i’m excited to read the updates and to see what the (obvious) success of your film ultimately will bring these performers and artists, and how measurable of a change the increased exposure on the world stage will have on their lives. and on their art. so, godspeed! An enlightening article that is down-to-earth and captures the essence of colour, diversity, and art in the LGBTQ community. This article, to me, highlighted how far India has come in exploring, recognising and embracing LGBTQ members in society. Music and many art forms like theatre, help bridge the Straight – LGBTQ divide. It would be interesting to see how lessons learnt in India can be translated here in Singapore where we’re years behind in terms of LGBTQ rights and recognition. Just last week, the High Court decided to retain 377A, essentially making ‘homosexual acts’ illegal. Not content to stick with the traditional, “We’re here, we’re queer, deal with it,” Jeff’s work is really exciting ! activists have once again joined forces with the indian music industry to battle anti-gay ballot initiatives ! way to go ! @Jeff!yes hats off to the most talented people of the city !! !they are real brave hearts! !our community rocks!!! Jeff, I could read and watch your work all day long! You truly have a way of making me feel like I am right there beside you for all of these wonderful events. It’s amazing how much you have accomplished in only the past five months. I get a big smile on my face just thinking about all of the great things STILL to come through you and your hard work! Thank you for ALL that you do. Great work!! Good Going my friend…keep it up!! Jeff, you are god’s glow. I have really enjoyed reading and watching your journey for the past 5 months Jeff. Your storytelling is so intimate and detailed, it really does feel like we are there with you. Thank you for sharing the stories of these amazing LGBTQ artists with all of us. I cant wait to see what the next 5 months will bring! Awesome job, Jeff! I love reading and watching your stories! I am very proud of you!